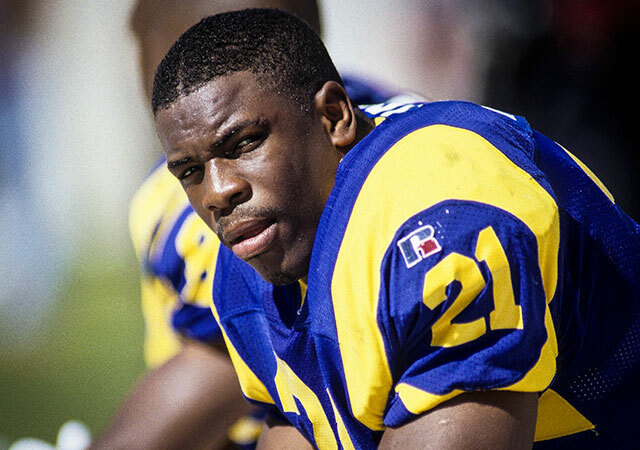 *Lawrence Phillips hanged himself with a bed sheet in his prison cell, according to a final coroner’s report, which also states that when guards found him unresponsive Jan. 13 at California’s Kern Valley State Prison, a note taped to his chest read, “Do Not Resuscitate,” reports USA Today. The former NFL star was sentenced to prison in 2009 for two separate incidents — driving his car into three teenagers and assaulting an ex-girlfriend. He was serving a 24-year sentence and scheduled to begin trial on murder charges in the death of a cell mate when he was pronounced dead at a nearby hospital in Bakersfield, Calif., less than two hours after he was found in his cell. Because he was a suspect in the death of another inmate, he was alone in an administratively segregated unit. A toxicology report found no illegal drugs or psychiatric medication in Phillips at the time of his death. • A bed sheet had been ripped in half, knotted and tied around Phillips’ neck. He was found hanging from a five-foot high, metal television shelf. • The forensic pathologist who conducted the coroner’s report found in Phillips’ left sock a photo of Phillips and an unidentified child and a note. The report provided no details about the note. • The note on Phillips’ chest that read “Do not Resuscitate’’ was written on a small piece of paper torn in half. Prisoner officers were directed to check on Phillips twice an hour, with no more than 35 minutes to elapse between the checks. He was last seen alive at about 11:35 p.m. Jan. 12. At 12:05 a.m., a correctional officer noticed the observation window of Phillips’ cell was covered by a towel. The officer knocked on the door and asked Phillips to remove the towel. When Phillips failed to respond, the officer opened the food slot on the cell door, reached in and pulled down the towel. The officer then saw Phillips in a seated position with a ligature, made from a bed sheet, secured around a television shelf and tightly around Phillips’ neck. Officers removed the ligature and initiated CPR before Phillips was transported to nearby Delano Regional Hospital, where he was pronounced dead at about 1:27 a.m.
Phillips was wearing two pair of boxer shorts, two pairs of white socks, a white T-shirt and a gray thermal shirt. There were small clear plastic baggies, containing an unknown white substance, that resembled ear plugs in Phillips’ ears. There were hemorrhages inside his eyelids, an abrasion on his neck and behind his ear left by the ligature and rigor mortis was present. Phillips, 40 at the time of his death, was the star running back on the University of Nebraska’s national championship teams in 1994 and 1995. He was a first-round pick, sixth overall to the St. Louis Rams, in the 1996 NFL draft. He played for three seasons in the NFL that included stints with the Rams, Miami Dolphins and San Francisco 49ers.